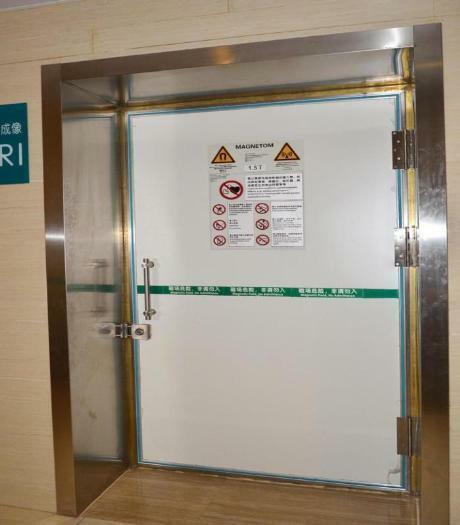 New products MRI shielding doors_Guangzhou OUAYNG Security and Building Material Technology Co., Ltd.
MRI room shielding doors . We start to produce MRI shielding door form April 2018. If any need, welcome to inquiry form us. MRI door is used for magnetic shielding of permanent magnet & superconducting nuclear magnetic resonance devices. It can prevents external electromagnetic field influence the normal work of MRI , restraining the leakage of magnetic field generated by MRI, and affecting the work of external devices. (1) Use 0.5mm copper plate & 0.5mm lead sheet , high conductivity, high shielding effectiveness. (2) Door can be divided into assembling type and welding type. Easy install and easy to repair. 4, Detachable beryllium copper reed between the gap of the door panel & door frame . Beryllium copper reed is easy to install and change .